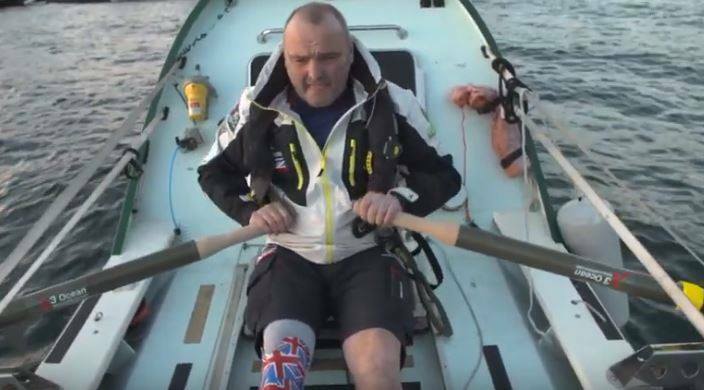 This British ex-soldier amputed of a leg had intended initially to leave Gibraltar but high tides and adverse weather conditions in Gibraltar has forced him to give up. Fitted with a prosthesis, he counts on rallying Cayenne in less than 70 days, a journey of 5,600 kilometres. He takes food for 90 days. If he succeeded, he would beat the record for crossing the Atlantic solo from continental Europe to South America, without assistance.